What says summer more than fresh watermelon lemonade? 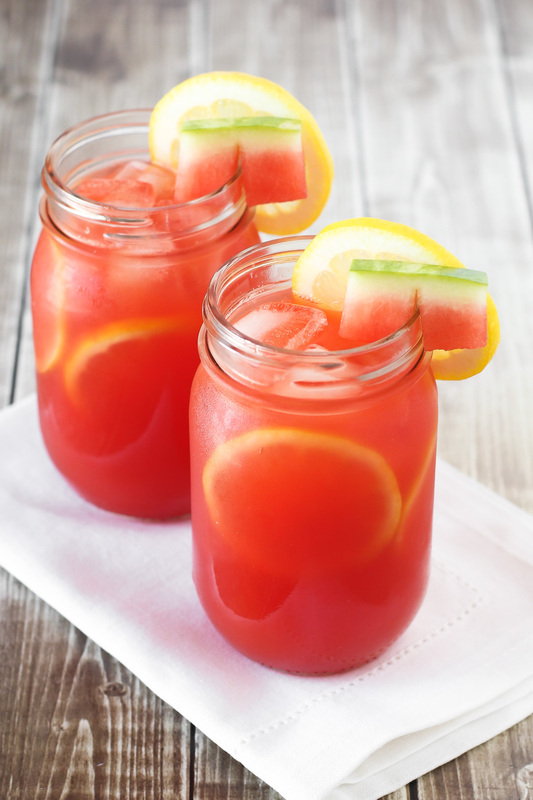 Only 3 ingredients and refined sugar free, this watermelon lemonade is so refreshing! I’m not sure how many watermelons we’ve already gone through this summer, but I do know it’s A LOT! I buy about one a week. All of the kids love it and so do I. It’s the most refreshing summer fruit, so juicy and sweet. I’ve gotten pretty good at picking just the right watermelon too. Just use your fist to gently knock on the watermelon and if it sounds hallow, you should be good! If I buy a giant watermelon and we have some leftover, I like to make these strawberry watermelon slushies or watermelon margaritas. My newest obsession is this fresh watermelon lemonade. It only takes a few ingredients and is so so TASTY! Since watermelon is naturally sweet, I only added a couple tablespoons monk fruit sweeter. You could also use stevia or agave. I don’t like my lemonade overly sweet. I prefer it a little tart. Here’s to watermelon season and the deliciousness of summer fruit. Enjoy it while you still can! Add watermelon cubes, water, lemon juice and monk fruit sweetener to blender. Blend on high 1-2 minutes, until fully blended. Pour mixture through fine mesh sieve to remove watermelon pulp. 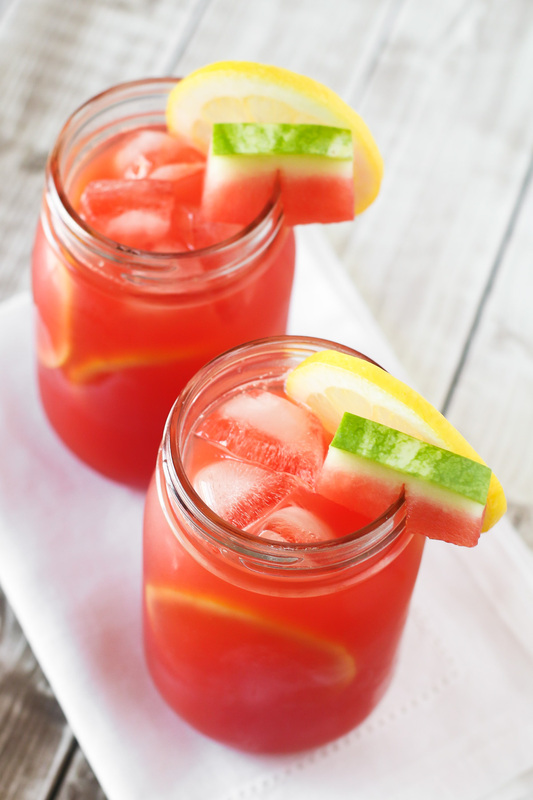 Pour strained watermelon lemonade into large glass jar or pitcher with lid. Refrigerate until ready to serve. Serve watermelon lemonade over ice. Separation will naturally occur. Stir before serving. today my mom and I tried your watermelon-lemonade and we really enjoyed it! It tastes fresh and healthy! I found your blog via tumblr and I’ll follow it from now on bc your blog is kinda interesting for me! So glad to hear you enjoyed the watermelon lemonade!